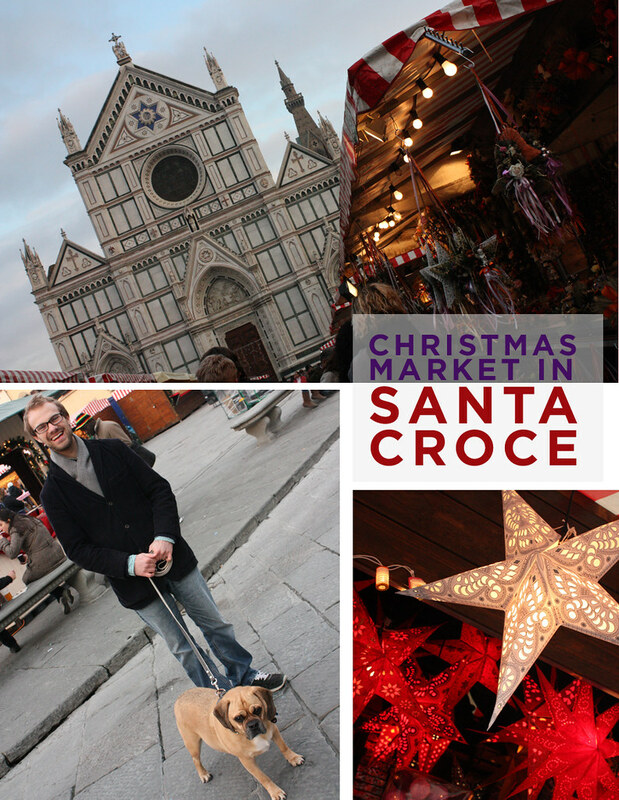 Yesterday we took a mid-afternoon walk (with Winston, obvi) to the German-style Christmas Market in Santa Croce. This is our first Christmas in Florence, so we're excited to see as much as possible. As soon as we arrived at the market, we were instantly drooling over strudel, pretzyls, cookies, candy, spices and more. If Winston wasn't with us I'm pretty sure we would've lingered for a while and made some bad (but oh-so-delicious) food decisions. We did warn Winston that if he misbehaved too much on the walk that he'd end up like the roasted big below (kidding, kidding). It was a perfect, overcast early winter day -- crisp, but not cold, and quiet. It is amazing how the city transforms this time of year. We walked by the Uffizi, through Piazza della Signoria and it was so enjoyable. No crowds and peaceful. I wonder what July visitors to the Uffizi (that waited in line for 4 hours) would think about seeing the place totally empty. 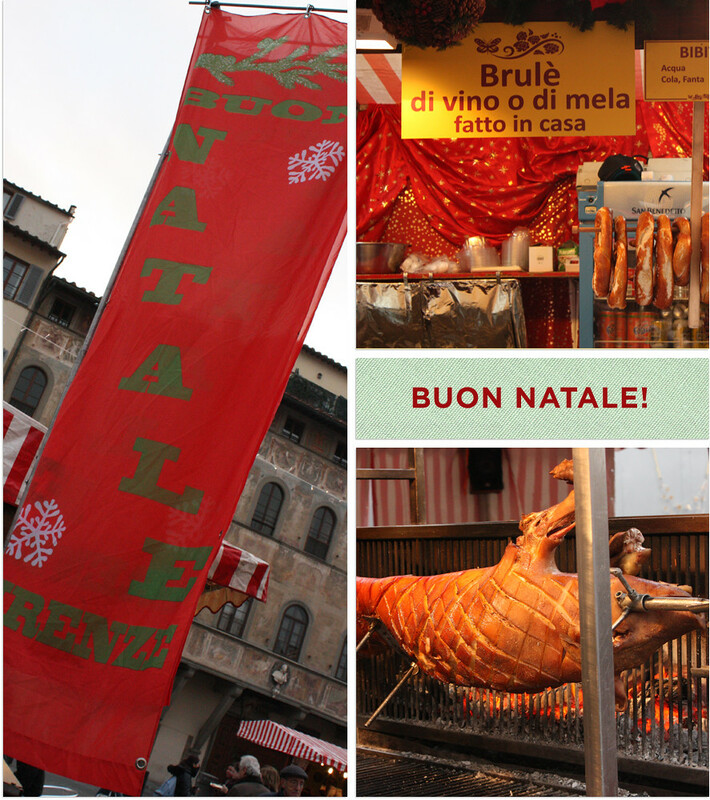 What other holiday events in Florence do we need to know about this month? We don't want to miss anything! P.S. This was Winston's longest walk in a long time and we were so proud of him! A few months ago he was diagnosed with Sudden Acquired Retinal Degeneration (SARDS). It's been a huge adjustment for us all, but he's been such a trooper. I think the quieter city streets this time of year are helping to make him more confident walking around!